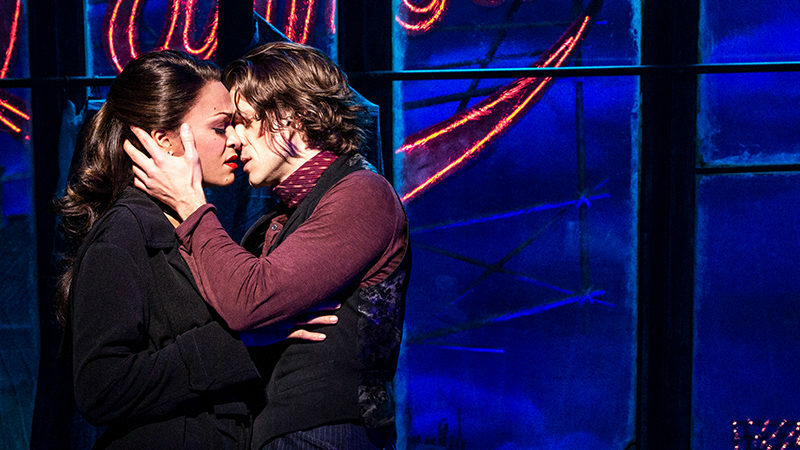 Moulin Rouge!, the stage musical adaptation of the hit 2001 film of the same name, has been on the radar for some time and now it will officially make its predicted journey to Broadway. 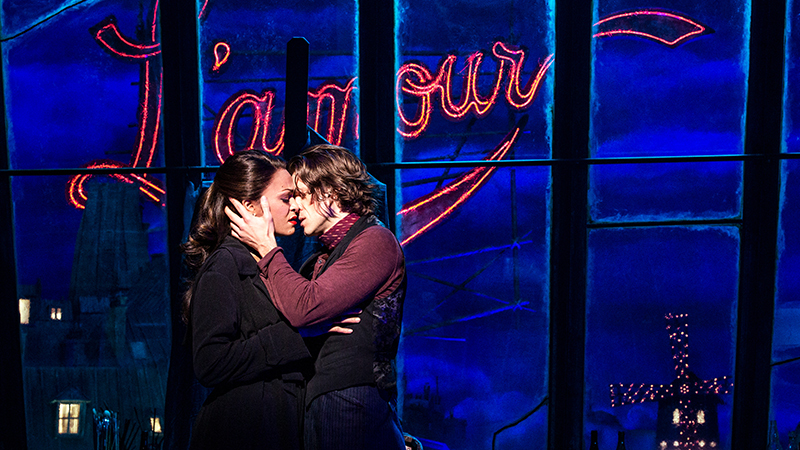 Carmen Pavlovic, one of the show’s producers, has announced that Moulin Rouge! 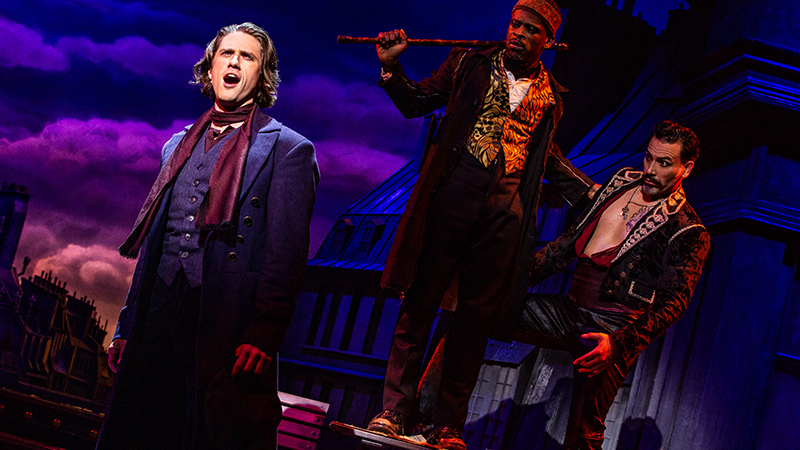 will begin previews at Broadway’s Al Hirschfeld Theatre on June 28, 2019, with an opening night set for July 25, 2019. The production will be directed by Alex Timbers (Beetlejuice, Peter and the Starcatcher) and choreography by Sonya Tayeh (Kung Fu). Justin Levine (Bloody Bloody Andrew Jackson) will provide music supervision, orchestrations, and arrangements. 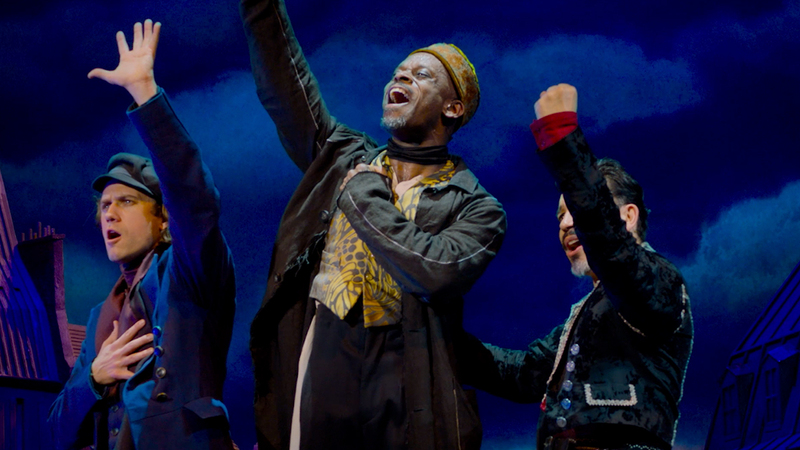 Aaron Tveit, Sahr Ngaujah, and Ricky Rojas in Moulin Rouge! Photo by Matthew Murphy. 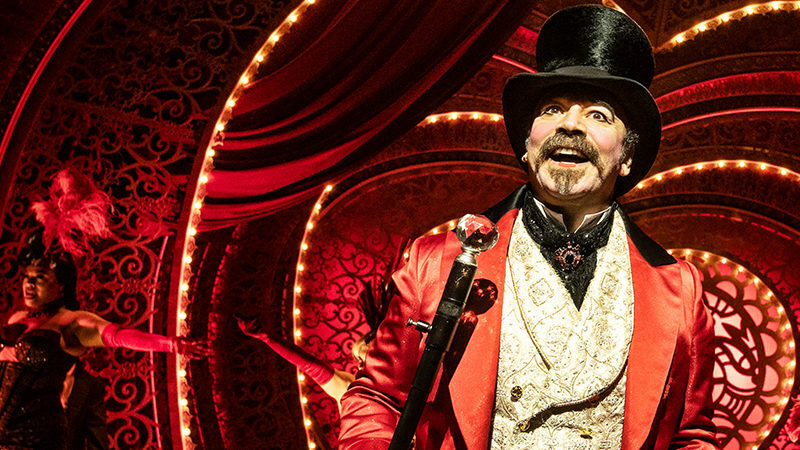 Danny Burstein in Moulin Rouge! Photo by Matthew Murphy. Moulin Rouge! has a book by John Logan (Tony Award for Red) and utilizes a catalog of hit songs from the world of popular music including “Lady Marmalade,” “Diamonds Are a Girl’s Best Friend,” and “Roxanne.” The design team for Moulin Rouge! includes Tony Award winner Derek McLane (sets), Tony Award winner Catherine Zuber (costumes), two-time Tony Award nominee Justin Townsend (lighting), and Tony Award winner Peter Hylenski (sound). 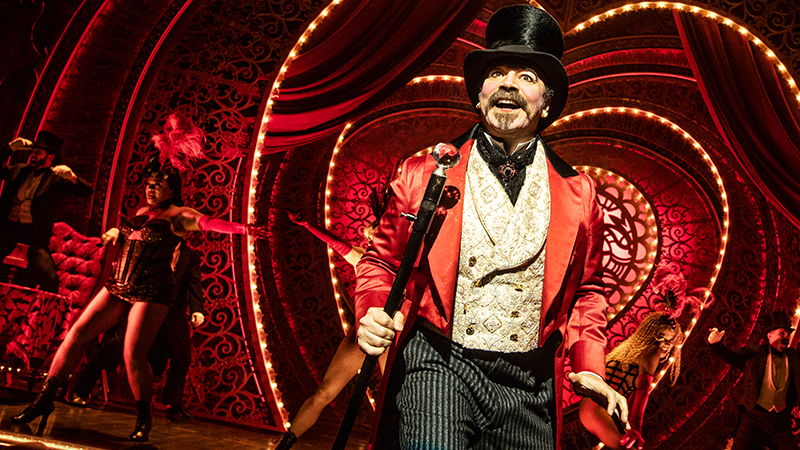 The stage musical draws its inspiration from the 20th Century Fox, “Baz Luhrmann’s Moulin Rouge!” that premiered at the 2001 Cannes Film Festival. The film was nominated for eight Oscars, including Best Picture and is noted for its signature touches by director Baz Luhrmann. 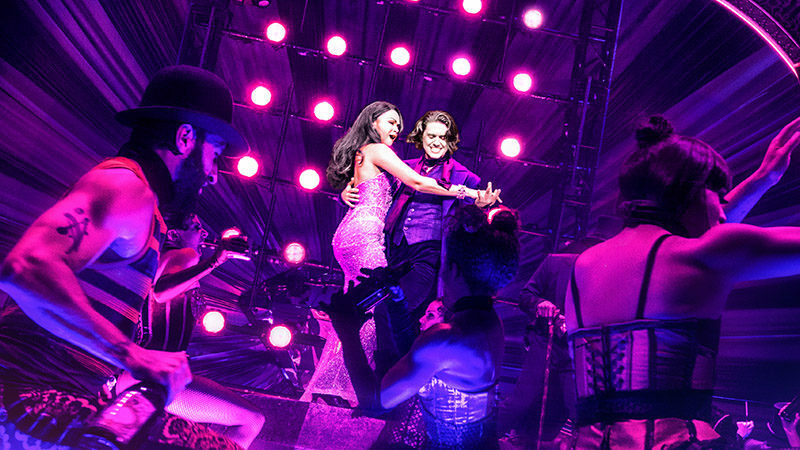 Karen Olivo and Aaron Tveit in Moulin Rouge! Photo by Matthew Murphy. Moulin Rouge! enjoyed a record-breaking run at Boston’s Emerson Colonial Theatre this past summer. The cast of that production will make the transfer to Broadway, including Karen Olivo (Tony Award for West Side Story, In the Heights), Aaron Tveit (Catch Me If You Can, Next to Normal), Danny Burstein (six-time Tony Award-nominee, Fiddler On the Roof, Cabaret), Sahr Ngaujah (Tony and Olivier award-nominee for Fela), Tam Mutu (Doctor Zhivago, Encores!’s Hey, Look Me Over! and The New Yorkers), Ricky Rojas (Burn the Floor) and Robyn Hurder (Nice Work If You Can Get It). The ensemble for the Moulin Rouge! will include Jacqueline Arnold, Olutayo Bosede, Kyle Brown, Sam Cahn, Max Clayton, Yurel Echezarreta, Jennifer Florentino, Paloma Garcia-Lee, Bahiyah Hibah, Ericka Hunter, Holly James, Reed Luplau, Jeigh Madjus, Morgan Marcell, Brandt Martinez, Jodi McFadden, Kevyn Morrow, Fred Odgaard, Dylan Paul, Khori Michelle Petinaud, and Benjamin Rivera. An exclusive fan-only pre-sale will begin November 21 at 12:00 PM for the very first access to Moulin Rouge! Tickets will go on sale to the general public on December 3, 2018, at 10 AM at ticketmaster.com. Initial tickets will be on sale for performances through November 2019 for this open-ended run.